Obituary for Dolores Pride | Q A Cantrell Funeral Services LLC. Dolores Pride was born in Shuqualak, Mississippi on December 29, 1934. She was the oldest of three siblings born to the late Addie and Windom Campbell. One sister Costella Orr and one brother, Archie Campbell who proceeded her in death. In 1938, Addie and Windom Campbell moved to Detroit, Michigan, where Dolores began her formal education in the Detroit Public Schools. She attended Duffield Middle and Miller high schools. Dolores worked for Dualastics plastic company for 13 years, Strohs Brewery for 12 years and worked for the Detroit Public School system for several years. In 1955, Dolores was united in holy matrimony to Otha Odems Sr. in Detroit, Michigan. 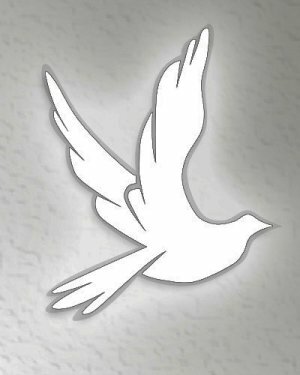 Dolores Pride was born again and filled with the baptism of the “holy spirit,” in 1971. Her life after she became saved impacted her community and the lives of her loved ones. The love of God shone brightly through her life. Countless souls were impacted by her kindness and compassion. She shared the “gospel of Jesus,” with many people she encountered and her life reflected her commitment towards God. Her church was an integral part of her life. She attended Light-House Cathedral since the 1970’s and served as a former Sunday school teacher and served on the nurse guild. Dolores was loved by many and left a lasting impression on the people that knew her. 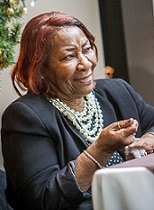 Dolores leaves to cherish her loving memory, four children; Ervina Noble, Valinda Aseidu, Otha Odems and Eugene Odems (Loreen), fifteen grandchildren; Michelle Crossley (Joseph), Vernard Robinson (Mya), Erica Aaron (Christopher Sr.), Jenise Noble, Michael Asiedu, Ina Derrick, Tiffany Odems, DeVonte Giles, Eugene Odems Jr., James Odems, Cory Odems, Mirya and Myra Odems Gina Odems and DeShonte Salus, and Twenty-four great-grandchildren and a host of family members and friends.